I got to my first service—the “celebration” as Valley and Mountain calls it—on Sunday at four. It was a strange time for church, at least, for me. I’m used to Mass at 9 or 10:30. But at Valley and Mountain, everything is intentional, and a lot of things are different. For one thing, the building. Valley and Mountain meets in an old corner brick building in Hillman City called the Hillman City Collaboratory. It’s a huge, open space with a storefront that used to be a furniture store according to this story, published in Real Change this past April. 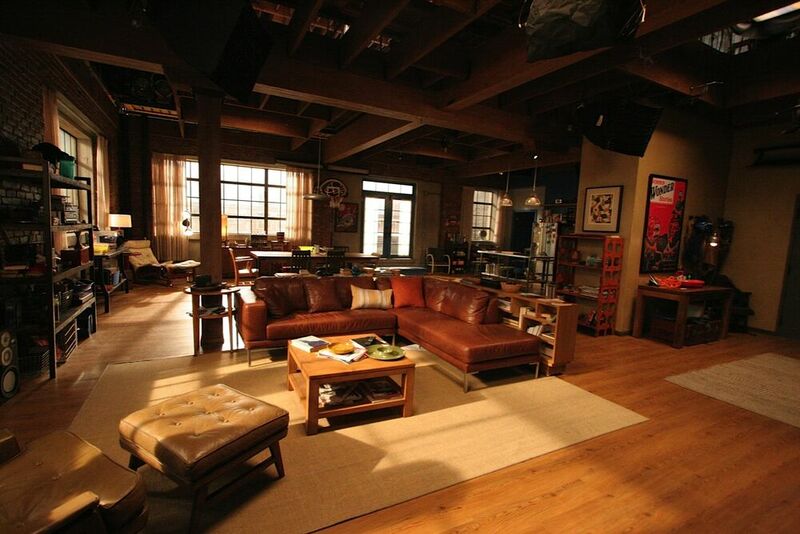 To me, it looks like the massive loft-warehouse apartment from New Girl: exposed brick, random structural columns, and a beat-up hardwood floor. Since I would like nothing more than to live in Jess and Nick’s (apparently massive) loft, I really like the space. It’s cool; there’s a rotating art exhibit from a local artist on the walls (last month, geometric patterns. This month, bodies), and the great big bright canvases make open space a little more cohesive. There are a couple of couches and comfy chairs, and each Sunday, members set out orange plastic chairs for the congregants. That’s because for the rest of the week, the Collaboratory is used for all kinds of things: workspace that anyone can rent, a drop-in spot for Catholic worker services, and yoga. There’s a kitchen that’s used to host cook-outs and the aforementioned Backyard Bazaar. The Collaboratory is shared between Valley and Mountain and Community Arts Create, an organization that is “building community through experience,” with a focus on culture and the arts. So, in my last post, when I wrote about there not seeming to be anyone in charge, I was wrong—there wasn’t. Though the Bazaar I went to had a lot of the church folks there, it was a part of both organizations’ goal to enliven Hillman City and highlight the awesome arts and cultural stuff that happens around here. At the celebration on my first Sunday (which is now three weeks ago, holy cow) I tried to sit “in the back” but there were only three rows of chairs—and no one was in the third row. So I sat in the second row, behind a couch. But my friend Jaime, who I’d met at yoga the week before, and who encouraged me to come check out Valley and Mountain when I showed mild interest, turned around and talked to me, asking me how my week was, the usual small talk. Eventually, he came and sat with me. It was normal, natural, and oh-my-God, the right level of welcome. This was an actual welcome. Like the kind I try to give to people who come to my house for a party. Hey, how are you? Welcome to my home. Hope you like it. I’ll be your friend til you get to know everybody. I didn’t think this was possible–I thought the initial welcome stage was something I’d always have to get past, because the welcoming committee at churches is almost always full of over-friendly types. But this wasn’t a welcoming committee. It was awesome.